Stopping at Wall Drug is a must if you are in South Dakota. I had never been before so I wasn’t sure what to expect. When we arrived, immediately I felt overwhelmed. Thank goodness we visited during the off-season, I don’t think I could’ve driven Wall Drug during peak season. It would’ve been way too stressful for me. Because it was the off-season many places were closed but the main attraction, Wall Drug was open! Wall Drug can easily be an all day excursion during peak season. For us, it was a little over an hour. 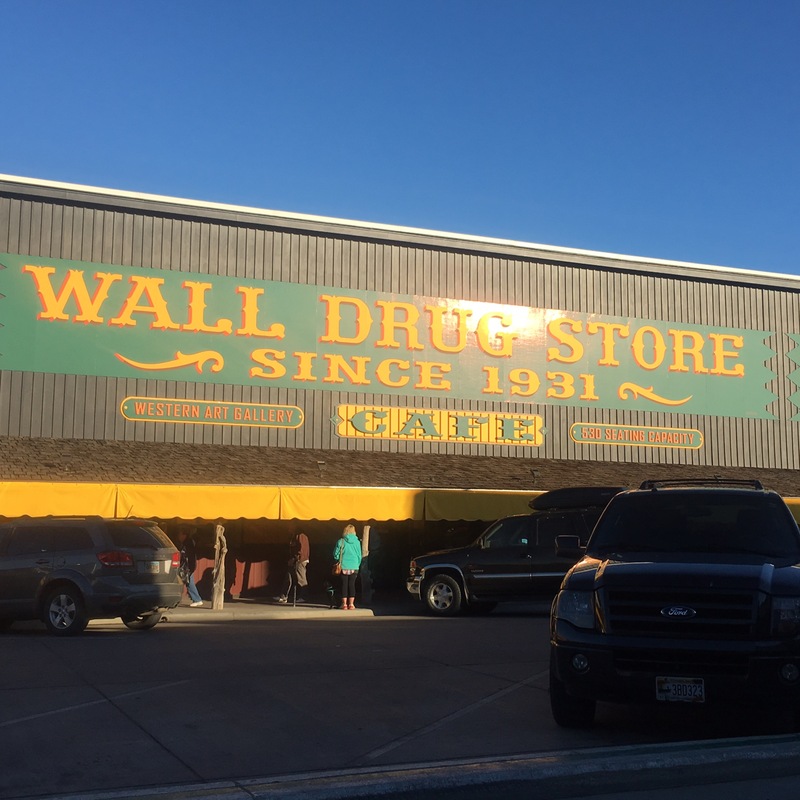 In my opinion, Wall Drug is a huge shopping experience set in a western town from decades ago but the prices are definitely in this decade. There are statues scattered throughout the property which make for great picture opportunities. The kids enjoyed walking through the various stores and looking at everything. There are plenty of toys available at Wall Drug. But I didn’t see anything unique or that we couldn’t buy elsewhere. I will say, the selection of dream catchers was impressive and the prices were the most reasonable I saw all week. So if you have someone in your group looking for a dream catcher take some time and look over the selection at Wall Drug. You can find various sizes, colors and price points. However, the prices at Wall Drug are a fraction of what we saw the rest of our visit. 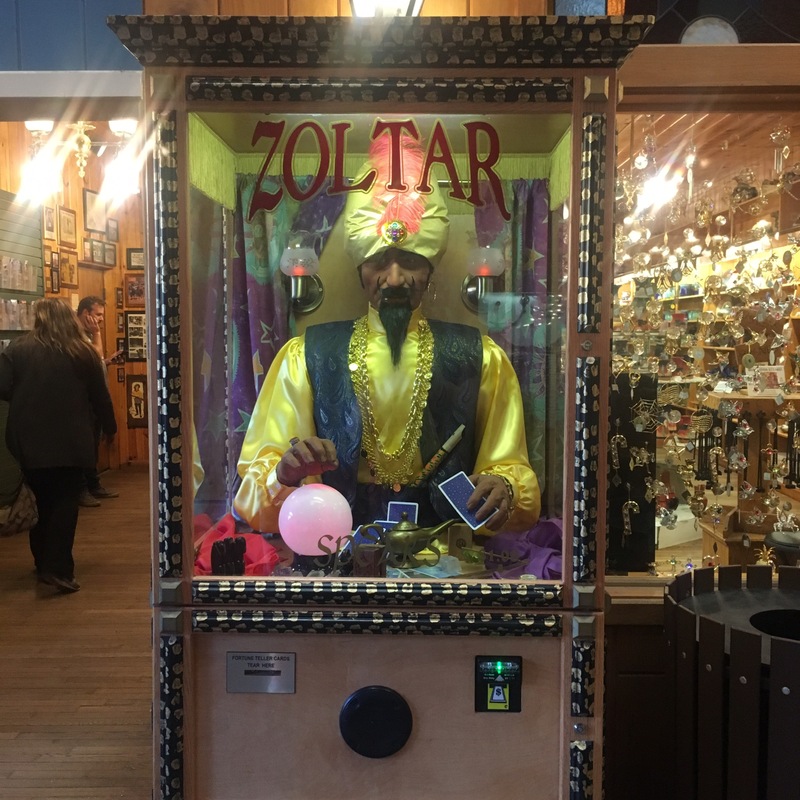 As we walking around we found a Zoltar machine! I have never seen one of these in person, only in the movies. So I thought it was pretty cool to find a working one. 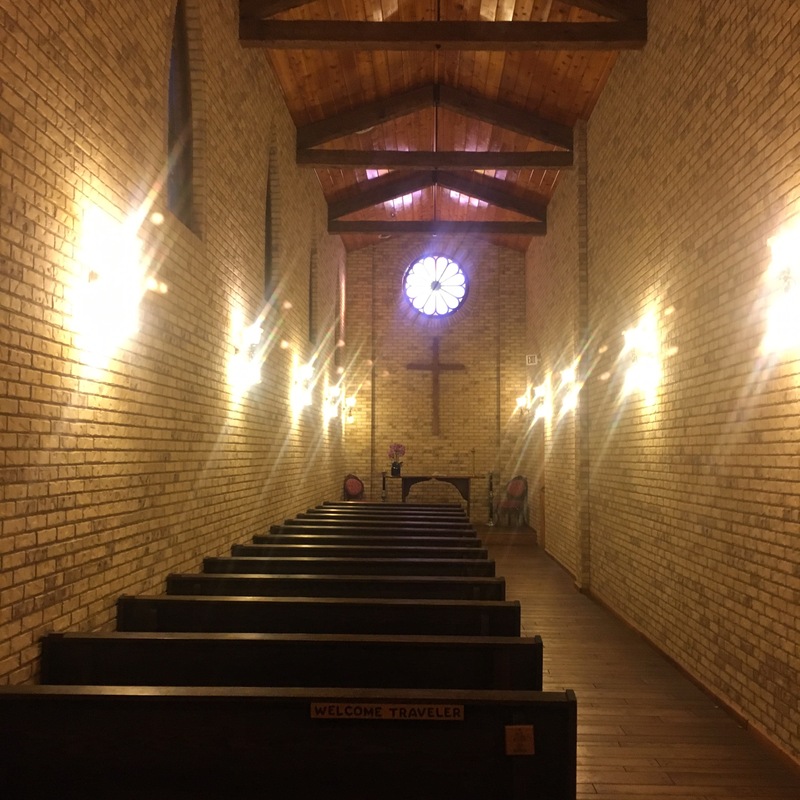 There is even a chapel at Wall Drug. It’s called the Travelers Chapel. It was a very long and narrow room made of bricks. It felt like a chapel you may have found out on the prairie in the olden days. 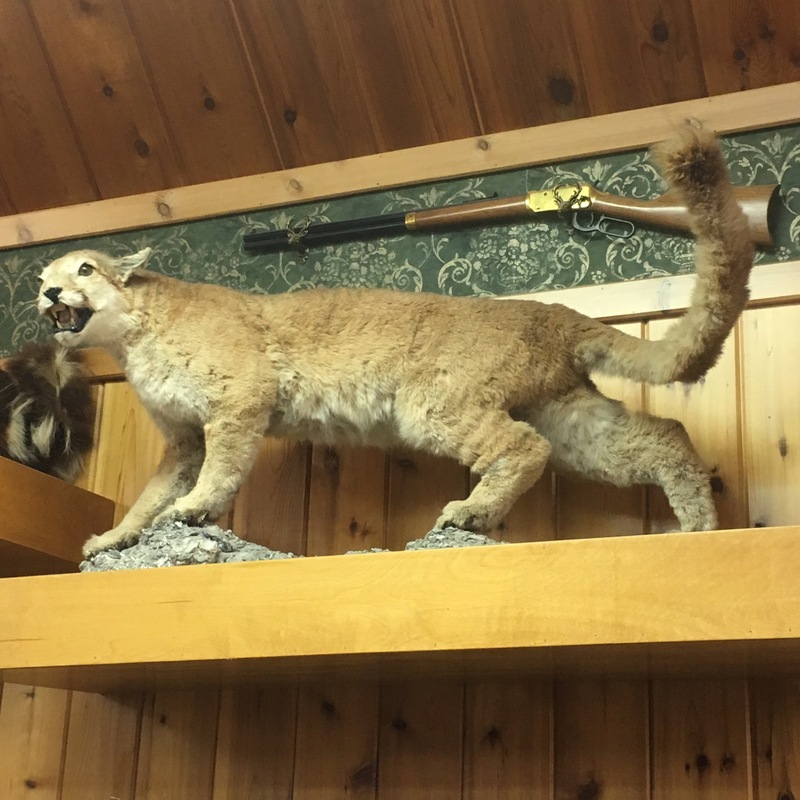 There is even some taxidermy at Wall Drug. As you are walking around be sure to look up, you never know what you’ll see. Wall Drug had an immense amount of detail from the floor to the ceilings. It’s not a place you want to rush through. Take your time and really look around. Outside of Wall Drug, there are many more shops and restaurants. Many are seasonal so they were not open when we were there. 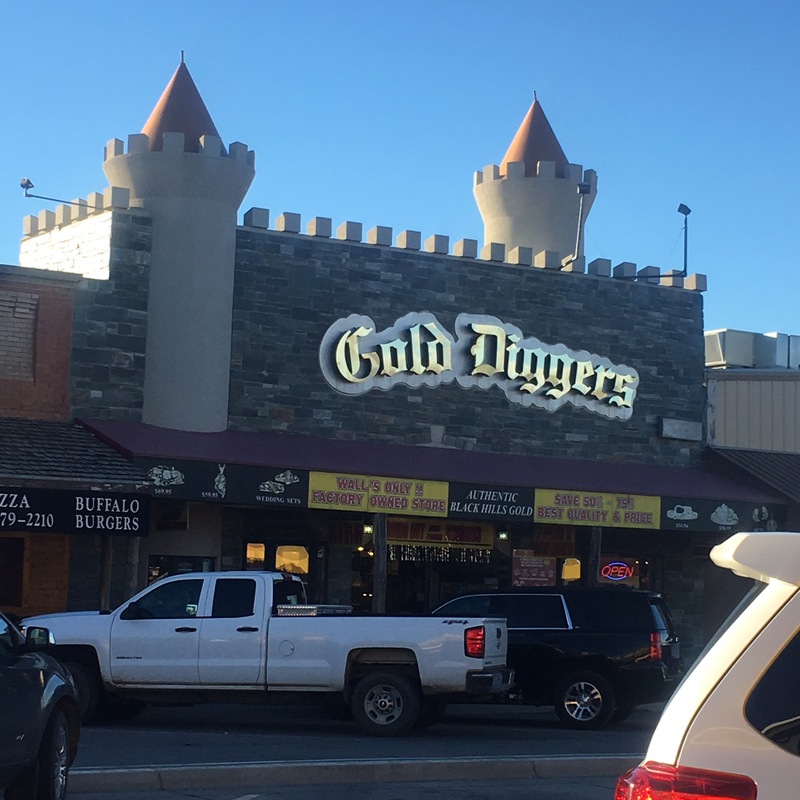 But it looks like you could easily spend a morning or day walking up and down the strip shopping all the treasures that await.